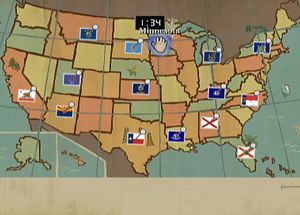 The geography class tasks you with locating various states and countries, by placing the correct flag on a regional map. This subject is only available in the Scholarship Edition of Bully, and may differ from region to region. 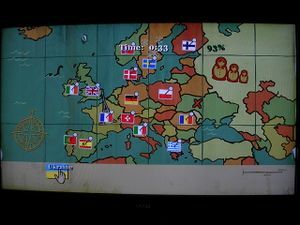 Completing Geography 1 unlocks the Eiffel Tower Hat in Jimmy's wardrobe. 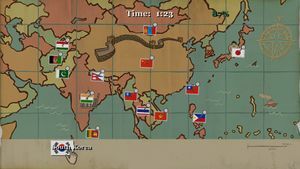 Completing Geography 2 unlocks the Racing Hat in Jimmy's wardrobe, and allows you to view the locations of any uncollected rubber bands on your in-game map. Unlocks Panda outfit and G&G card viability on map. 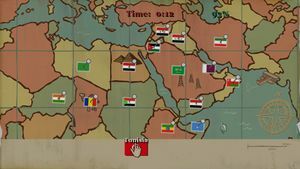 Completing Geography 4 unlocks the Pith Helmet in Jimmy's wardrobe, and allows you to view the locations of any uncollected transistors on your in-game map. 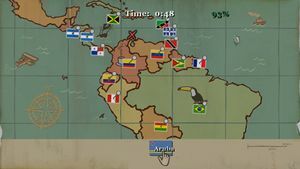 Completing Geography 5 unlocks the Explorer Outfit in Jimmy's wardrobe, and allows you to view the locations of any uncollected gnomes on your in-game map. This page has been accessed 786,431 times.